Lund University seeks to be a world-class university that works to understand, explain and improve our world and the human condition. The University is ranked as one of the top 100 in the world. It tackles complex problems and global challenges and work to ensure that knowledge and innovations benefit society. It provides education and research in engineering, science, law, social sciences, economics and management, medicine, humanities, theology, fine art, music and drama. 47 000 students and 7 200 employees are based at the campuses of Lund University in Lund, Malmö and Helsingborg. The University has a turnover of around EUR 750 million, of which two thirds is in research and one third in education. Lund University is a international university with global recruitment. It cooperates with 680 partner universities in over 50 countries and is the only Swedish university to be a member of the strong international networks LERU (the League of European Research Universities) and Universitas 21. Two major facilities for materials research are currently under construction in Lund: the MAX IV Laboratory, which will be a world-leading synchrotron radiation laboratory and ESS, a European facility that will be home to the world’s most powerful neutron source. These will be of decisive importance for materials and life sciences and for industrial development. In Lund, Medicon Village has also been established and will offer a unique environment for life sciences; integrating research, innovation and enterprise creates the conditions for improved health and quality of life. LTH is the Faculty of Engineering. The Faculty of Engineering at Lund University, Lunds Tekniska Högskola or “LTH” in Swedish , is among the leading engineering faculties in Europe, with more than 9 000 undergraduates and 800 postgraduates based both in Lund and at Campus Helsingborg. 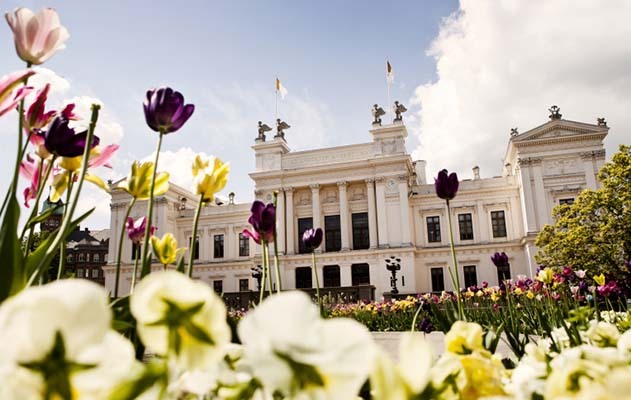 Founded in 1961, as an independent institute, it today belongs to Lund University, which is one of Scandinavia’s largest institutions for education and research with about 35 000 students and 6 000 employees. LTH is one of few complete engineering faculties in Sweden. Besides the traditional engineering programmes we offer architecture, industrial design and fire safety engineering. The research carried out is of high international standard and is world-leading in several areas, such as nano-technology, combusting engineering and mobile communications, water resources, automatic control, laser physics and biotechnology. Thanks to the fact that LTH belongs to a large university, cooperation between different disciplines is stimulated in a unique way. Consequently, LTH is recognized for its cross disciplinary research, e.g. between the medical and technical sciences. LTH has close contact to business life. Ideon, Sweden’s first Research Park, is our neighbour. Moreover, international companies as Alfa Laval, Ericsson, Gambro and Tetra Pak are based in Lund. The venue for UD 2014 is at Campus LTH in Lund.